Temple Guiting is now 6! ... AND NOW YOU DO! Temple Guiting's augmentation to 6 has happened! 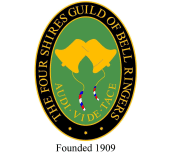 Arthur Berry, bellhanger from Malvern, with his assistant Roger Hunt from Fladbury, installed the new bell in its awaiting pit on Monday 7th November and then finished the fitting out the following Friday. 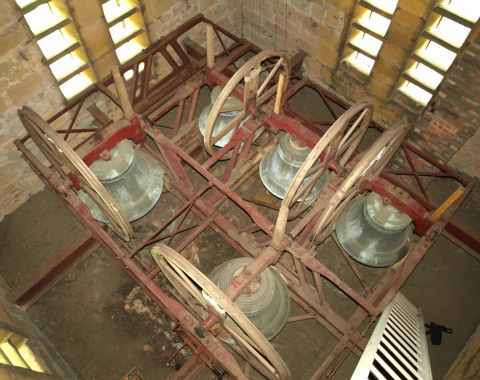 A try-out of the bell with its older relatives occurred the next day. 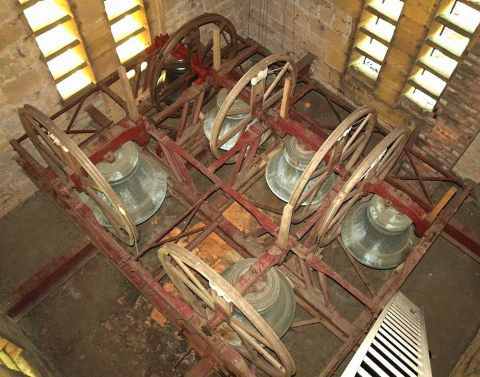 The installation is the end of a project that started in 1971, when Taylors of Loughborough rehung the 5 bells. There were fairly firm plans to augment to 6 at that time, as a new 6-bell frame was provided, and Taylors' drawings show the extra bell in broken lines. Unfortunately, the money then seems to have run out and the 5 were hung in the new frame with the spare pit just.... waiting. 40 years on, the project is complete. Read the full story.